MARACAY, Venezuela — The ballot for congressional elections in which Venezuela’s ruling socialists face their stiffest challenge in 16 years is confusing enough in the state of Maracay, with more than two dozen parties on the ballot. But most worrisome for incumbent Ismael Garcia, a fierce opponent of the deeply-unpopular socialist administration, is a 28-year-old parking lot attendant whose name will appear directly beside his on the ballot, under a nearly identical party title and logo. He, too, is named Ismael Garcia. And three weeks ahead of the Dec. 6 vote he has yet to make a public campaign appearance or even explain his platform. The result has been a bizarre campaign in which political veteran Ismael Garcia is mostly focused on helping voters identify him correctly when they go to the polls. “It shows how crazy and desperate the government has become. They have fake candidates posing as the opposition in almost every contest in the country,” the older Garcia said, canvassing a neighborhood of low-slung cinderblock homes where he handed out fliers showing a mock-up of the ballot with a bright red arrow pointing to his name. The opposition’s slogan for the district, which it won by a slim margin in the last legislative elections is: “Don’t get confused.” It would be easy enough to make a mistake. The names of the Garcias’ parties are MUD Unity for the opposition and MIN Unity for the third-party. Opposition figures have tried to unite their often-fragmented forces under the MUD Unity coalition to avoid splitting the anti-government vote. They say the government is trying to undercut that strategy with pseudo-opposition parties, chief among them the younger Garcia’s MIN, whose blue-colored “Unity” symbol is almost identical to that of the MUD. ….. The head of the Washington-based Organization of American States, Luis Almagro, recently accused Venezuela’s government of undermining the validity of the coming election through dirty dealing, including allowing MIN Unity to confuse voters. Other tactics that have drawn international criticism include the jailing of prominent opposition leaders who might otherwise win seats, the use of state media and official events to promote socialist candidates, and the redrawing of electoral districts to favor the ruling party. BUENOS AIRES—The conservative mayor of Buenos Aires, Mauricio Macri, was elected president of Argentina on Sunday, November 22, in a win seen as a rejection of departing president Cristina Kirchner’s interventionist (in this instance socialist) economic policies and a turn to the right after 12 years of leftist rule. 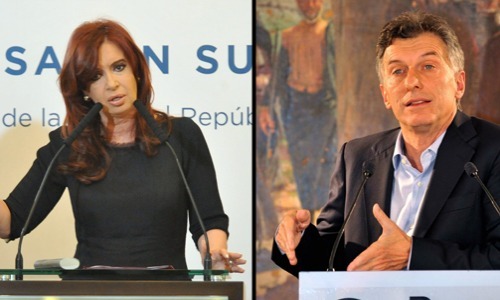 Argentina’s Peronist President Kirchner (left); opposition candidate president-elect Mauricio Macri (right). With 90% of votes counted by the electoral authority on Sunday night, Mr. Macri, the candidate of the Let’s Change opposition coalition, had 52.2%, ahead of ruling-party candidate Daniel Scioli with 47.8%. Mr. Scioli acknowledged “the will of the people” in a dramatic speech late Sunday. The pro-business, conservative mayor of Buenos Aires defeated Daniel Scioli, the left-wing anointed successor of Cristina Kirchner who was constitutionally barred from standing for a third term. 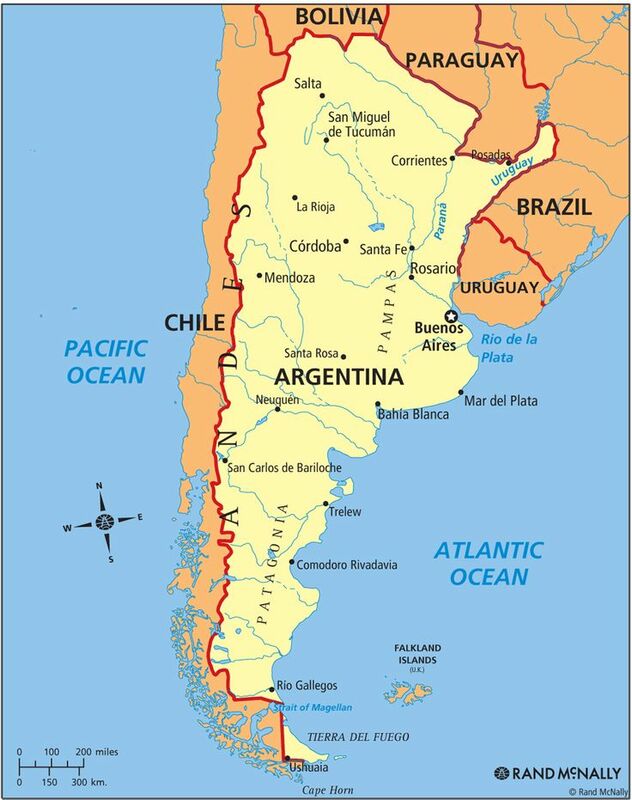 The new president will be Argentina’ most economically conservative leader since the 1990s and promised to lift trade restrictions, lower taxes, and negotiate with foreign creditors currently suing the Kirchner government. Mr. Macri said: “We want to build good relations with all of Latin America and with the world. We want to have good relations with all countries. Mr. Macri, 56, who will assume office on Dec 10, is the son of one of the Argentina’s’s wealthiest families and a former president of Boca Juniors, the popular football club in Buenos Aires. In the early 1990s he was kidnapped for ransom. His opponent Mr. Scioli, 58, a former speed boat racing champion who lost an arm in an accident in 1989, was originally the clear favorite but lacked the charisma that had helped keep Mrs. Kirchner in power. Burkina Faso voted on Sunday in a historic election to choose the country’s first new president in decades, a year after longtime leader Blaise Compaore was toppled in a popular uprising. 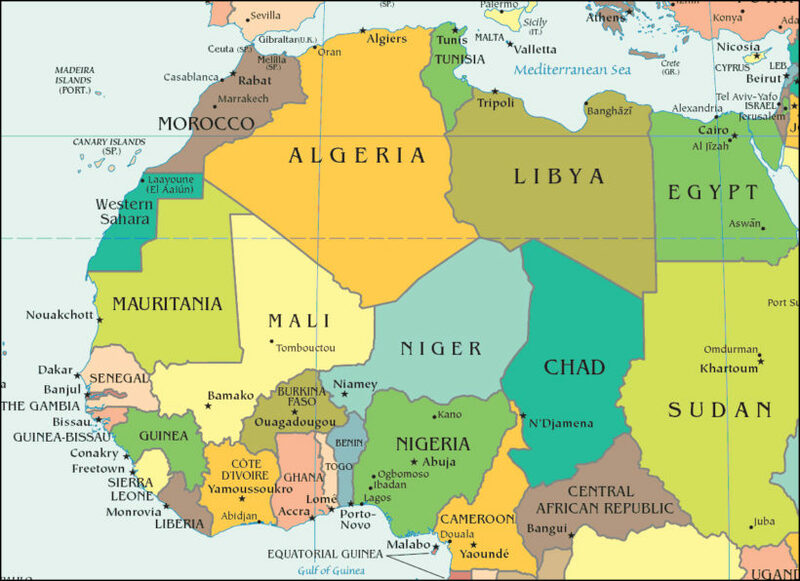 It represents a turning point for a west African nation which, for most of its history since independence from France in 1960, has been ruled by leaders who came to power in coups. Mr. Compaore seized power by that route and ruled for 27 years, winning four elections, all of which were criticised as unfair. He was ousted in October 2014 when demonstrators protested against his attempt to change the constitution to extend his tenure. But a successful election would establish the country as a beacon for democratic aspirations in Africa, where veteran rulers in Burundi and Congo Republic have changed constitutions to pave the way for extended terms in office. “I am proud to have accomplished my duty as a citizen … It’s the first time that I can be really sure that we won’t end up with Blaise Compaore,” said Ousmane Ouedraogo, as he cast his ballot in the capital Ouagadougou. People formed long lines at polling stations to vote for the president to serve for a five year term and deputies for the national assembly. Polls closed at 6pm GMT. A second round will be held if no candidate secures a majority. Analysts say only two of the 14 presidential candidates stand a real chance of winning. One is Roch Marc Kabore, prime minister and president of the national assembly under Mr. Compaore. The other is Zephirin Diabre, who was minister of finance in the 1990s before stepping down to start an opposition party. 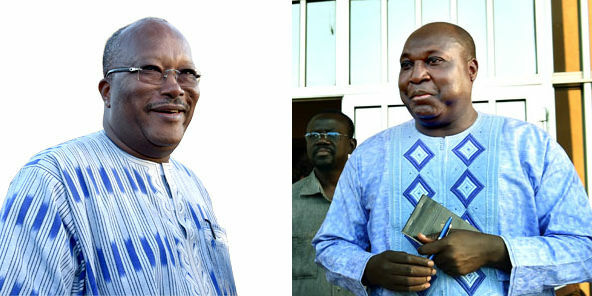 Mr. Kabore heads the Movement of People for Progress (MPP), made up of disaffected allies of Compaore who left the party months before he stood down. Mr. Diabre fronts the Union for Progress and Change (UPC), which was the formal opposition. Mr. Kabore draws support from the business elite and, as a member of the largest ethnic group, traditional chiefs. Mr. Diabre has international ties from his years at the United Nations Development Programme and at Areva, a French nuclear company. “We must do everything to show that civilians can ensure the correct government of the country and restore it to democratic normality,” Mr. Kabore said as he cast his ballot. Many people say they will vote for the candidate who has the best chance of promoting economic growth in a landlocked country that exports gold and cotton but remains impoverished. The election was pushed back from October 11 because of an abortive coup in September by members of the elite presidential guard, in which transitional president Michel Kafando and his prime minister were taken hostage. That coup cost more than $50 million in lost revenue, trimming growth by 0.3 percentage points. The guard has since been disbanded. Mr. Kafando will step down once a new leader is sworn in. Corruption and justice are also issues for voters, prompting a resurgence in the popularity of former leader Thomas Sankara, a Marxist revolutionary dubbed “Africa’s Che Guevara” who was assassinated in a 1987 coup led by Mr. Compaore. 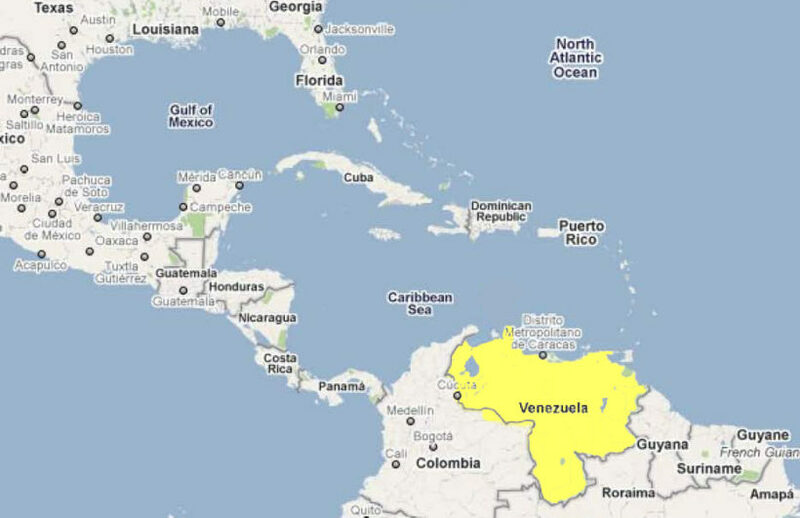 There are fewer than 150 adults in Venezuela named Ismael Garcia, according to state records. The young Garcia running in Maracay happens to work at the outdoor parking lot across from his rival’s office. The congressman’s staffers park their cars among stray dogs and rusty pickups there every day, but only realized this past week that their opponent was the heavyset young man with spiky gelled hair they see on their way out. The small MIN Unity party had been part of the opposition’s MUD Unity coalition until this summer. But in August, a court ordered the party to replace its leaders, prompting coalition fears that a pro-government judicial system was being used to sabotage the opposition from within. MUD expelled the party, and its choice of candidates – an array of novice and pro-government figures – has done nothing to dispel doubts. A gifted, charismatic orator with a keen ability to connect with the poor masses, Hugo Chavez was able to marshal public backing for a series of referendums that created a new constitution and permitted him to bring every important institution – from the legislature to the state oil company – under his control. Chavez also advanced on what he called 21st-century socialism, which included the nationalization of hundreds of companies, the seizure of large land holdings, price controls and currency regulations. In speeches blaming capitalism for society’s ills, Mr. Chavez said his policies had made Venezuela a more prosperous country, independent of U.S. meddling and influence. 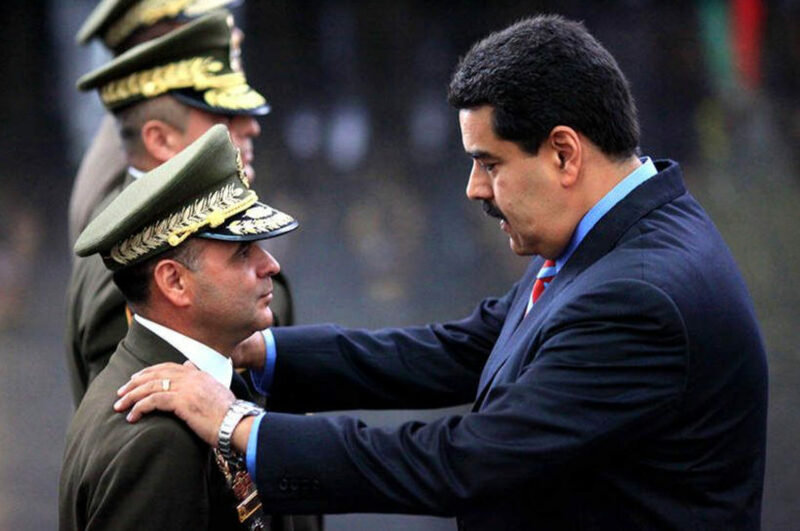 President Maduro continues the same harmful policies, which has led to the unpopularity of his socialist party. Prior to the Nov. 22 run-off election, polls showed that the high disapproval rate that had long dogged Mr. Macri, who was derided by some voters for his wealthy background, dissipated in recent weeks. Mr. Macri focused on how he would bring efficient government and economic growth. “We can live in an Argentina without poverty, where we can all aspire to have our own homes with running water and a sewage system,” Mr. Macri said on Thursday at his last campaign event. The messages appealed to people like Leon Tobal, 52. “I got tired of this government, especially the lack of security,” he said, speaking of Mrs. Kirchner’s government. He said the shop he runs has been robbed three times in a month and that he had seen increased poverty, leading him to vote for Mr. Macri. Another voter, Nestor Shenkis, 33, said he chose Mr. Macri, too, because of the inflation. “They gave me a raise in January, but the costs nearly doubled,” he said. “Yesterday I went to buy bread and it rose 20%” over the previous week. The presidential victory of center-right politician Mauricio Macri in Argentina marks a potential turning of the so-called pink tide of populist political movements that swept South America sharply leftward over the past 17 years. While some populists, such as Bolivia’s Evo Morales, remain popular and firmly entrenched in power, others are now fading thanks to the decline in commodity prices that fuels the region’s exports, a string of corruption scandals, economic mismanagement and voters’ desire for change. Mr. Macri’s win in Buenos Aires on Sunday ends 12 years of “Kirchnerismo,” a populist brand of leftist politics embodied by President Cristina Kirchner and her late husband, Néstor. Together, the pair nationalized industries, stripped the central bank of independence, and ramped up spending and subsidies. Those policies lifted incomes temporarily but hurt investment and stoked inflation. In Brazil, leftist Dilma Rousseff, a former guerrilla who belongs to the Workers’ Party, is struggling with a 10% approval rating amid the country’s biggest economic slump in 25 years and a long-running corruption scandal involving state-oil giant Petrobras. On Dec. 6, Venezuelans are expected to hand President Nicolás Maduro, the heir to the late leftist firebrand Hugo Chávez, a big loss in midterm elections there. Polls show the opposition winning by at least 20 percentage points, likely giving it control over congress and giving momentum to a possible recall vote on Mr. Maduro.